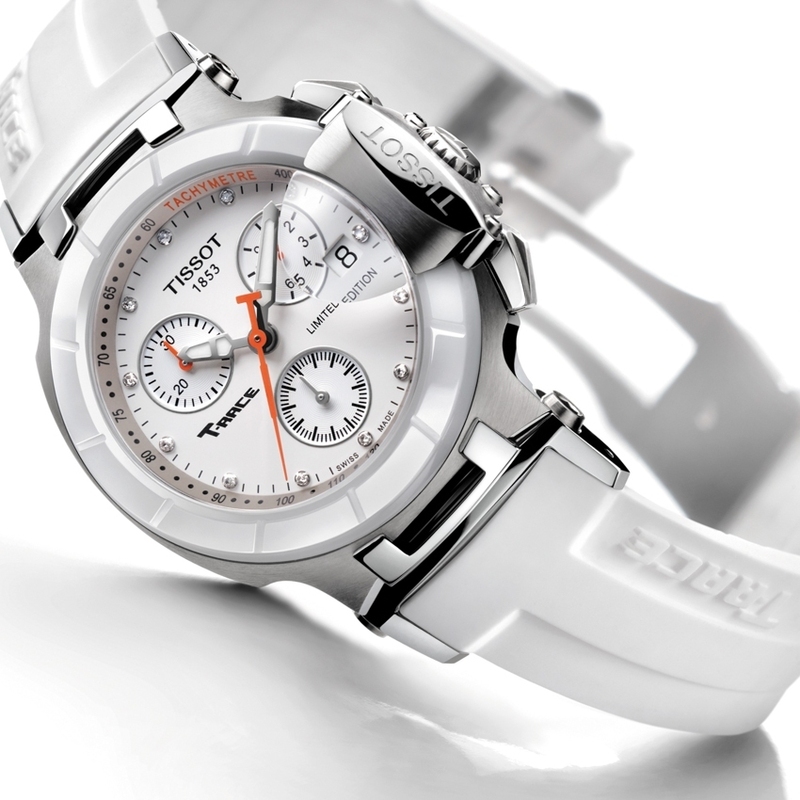 The Tissot T-Race Danica Patrick Limited Edition 2012 is more than just fabulous to look at. Its elegance and robustness are a tribute to the driver and her amazing car. Its unique character and incredible charisma are revealed in details such as the white ceramic bezel, modelled on disc brakes, the dial, and the counters displaying precise indications like a racing car's instrument panel. The treadmark pattern on the silicon strap hints at the famous IndyCar driver's performance on the racetrack while the hands are in her team's signature orange. Produced as a 4,999-piece limited series.